Our pal, Nancy Brown is a writer and horsewomen extraordinaire. When she recently underwent double hip replacement, her first concern was how and how soon she could get back on a horse again. Ranchweb’s own Gene Kilgore knew just who Brown should chat with. It’s a tale of inspiration and perspiration that you should not miss. Details: For the rest of the story, check out the Writing Horseback blog. Tim Singewald didn’t start out life on a guest ranch, but it was his lifetime goal to own and run one. And he made it. Today, he’s owns and runs BRIDGER WILDERNESS OUTFITTERS/DC BAR GUEST RANCH in Pinedale, Wyoming. 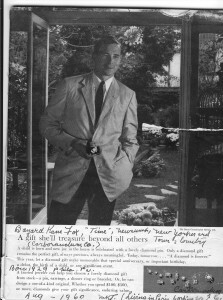 But his path to ranching was circuitous, involving pre-med studies, working in the Arctic, and finally working in the city, as a vice president in banking. 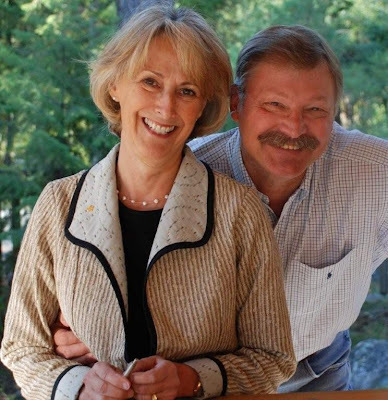 “It was my goal to retire at age 30 and move to the woods,” says Singewald. “I was making good money in the city, with the country club membership and all, but I gave it up to live and work on a ranch.” That was 27 years ago, and he wouldn’t trade the experience for anything. But it hasn’t always been easy. “We grew up on Gene Autry, Roy Rogers and a variety of TV westerns where the cowboy way of life was always in front of people,” notes Singewald. “We learned from them how to treat your friends, how to tell the truth.” And to want to visit a dude ranch. “I’d call it American Eco-adventures,” Singewald contends. “And to compete in today’s market, we have developed a lot of programs that teach a whole variety of outdoor skills—how to find edible plants, pack a backpack, catch a fish, build a survival shelter. 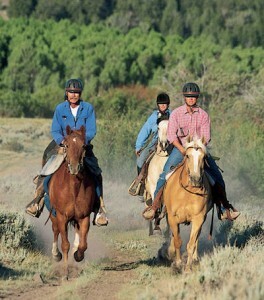 Indeed, visitors can find plenty of experiental learning on a ranch, and so many travelers are looking for that. “Ranchers might learn to explain to the public: you don’t just have a great time at a ranch; you learn something while you’re doing it: Have fun, learn new skills, and spend your vacation dollars at home,” he suggests. 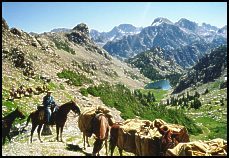 Details: BRIDGER WILDERNESS OUTFITTERS/DC BAR GUEST RANCH has Two trophy class fishing rivers in the valley, scenery, adventure, horses, fishing, hunting, family guest ranch activities, beaver pond full of trout and overnight pack trips. 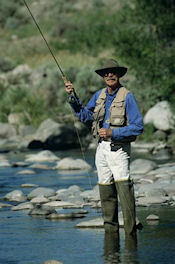 For more information, click on BRIDGER WILDERNESS OUTFITTERS/DC BAR GUEST RANCH, or click/go to www.bwo.com.